Procure your electricity through offsite Power Purchase Agreement (PPA). Offsite Corporate PPA provides you long-term cost affordability, improved price visibility and recognition for renewable electricity achievements and climate leaderships. Offsite PPAs let you source renewable energy from assets located outside your site. This is ideal for industrial sites that have limited space. Offsite PPAs also enable corporate customers to source renewable energy from fewer but larger assets, thus enabling them to reduce costs through economies of scale. 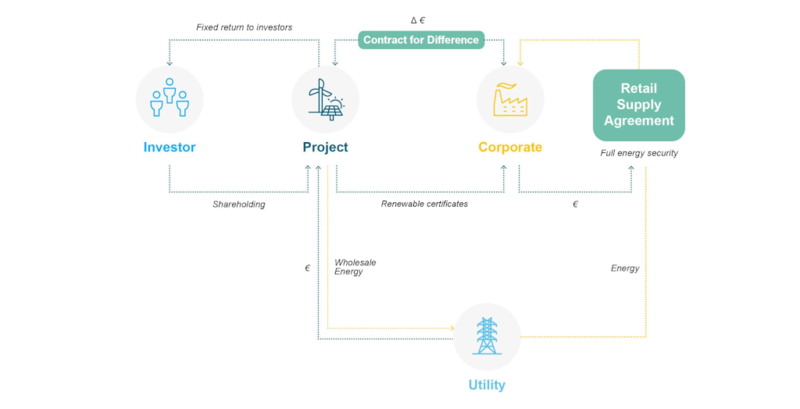 The renewable energy project is connected to the grid, providing the renewable energy producer with alternative market routes, particularly on the wholesale market. There are many different types of offsite PPA structures a corporate buyer can enter into: either physical or virtual, based on existing or new built production assets, from one or many renewable energy plants. ENGIE can offer you all types of PPAs and can bring all types of energy management services to deal with the intermittency of the renewable production and make it match with your consumption profile. Physical or Sleeved PPA involves physical delivery of the power produced by the renewable energy producer. Because physical delivery takes place, it is easier to show that the power used is procured from renewable sources and to demonstrate “additionality” i.e. to show that a new renewable power plant has been added thanks to the PPA. 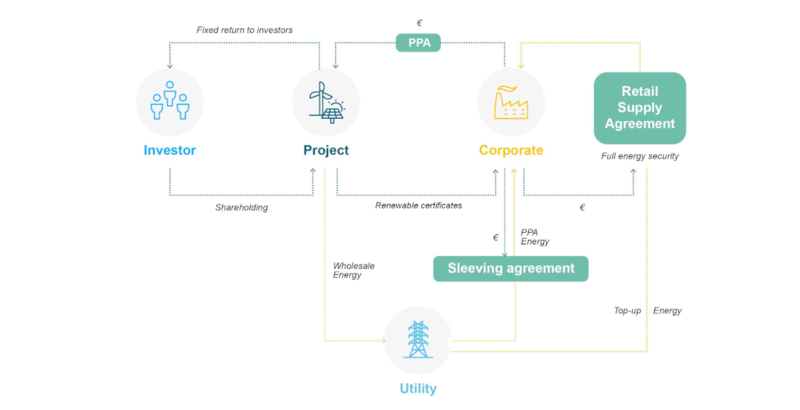 Under virtual or Synthetic or Financial PPA, no physical transfer of energy takes place, which allows power to be sold “virtually” across separate energy markets. Also known as financial PPA, the agreement allows both buyer and seller to hedge against price risk. The PPA price is settled against the local wholesale market price where the renewable asset is located. The biggest advantage of virtual PPAs is that it is not constrained by geography and thus the agreement can be used to build plants where the renewable resource is most abundantly present and provide competitive products to consumers in other regions. 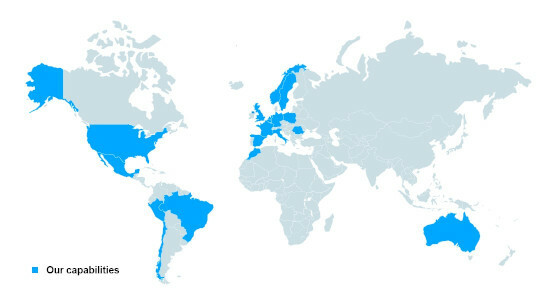 In countries where energy markets are mature, ENGIE capitalizes on its expertise and constant innovation to design new models of PPAs and risk management to better adapt to buyers and sellers’ needs. The shape of the profile sold in a PPA can vary from as generated / produced to as consumed, and energy management services might not be included in some PPAs.